Driving gamers to a new level. Orkun Bektas is a developer at a world-leading computer games company. He studied Computer Games Technology at City, University of London. Now he's one of the developers behind the most successful driving franchise in gaming history. Orkun helped to produce the fifth version of the game for release on the Xbox and PlayStation platforms. It generated $800m of sales on its first day. In the UK, it was the fastest-selling game of all time. 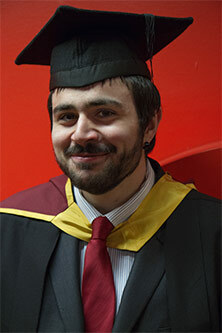 "I decided to do a postgraduate qualification in Computer Games Technology because video games has been my passion and I wanted to pursue a career in the field. I thought getting an MSc degree from a highly regarded university such as City would teach me the skills required in the career path I wanted to take." Orkun believes that his City degree has been "helpful for both getting the job and providing me with the skills to be an asset to the company." "Some of my assignments were challenging and involved intense thinking and extensive designing. After I completed the course, Dr Chris Child and Dr Greg Slabaugh invited me to be part of Cancer Research UK's Gamejam. Trying to complete the production of a game in less than 72 hours with complete strangers taught me a lot and was one of the highlights of my time at City." "I believe it has also helped me develop my skills as a programmer. The portfolio I created during the course has been especially helpful in taking my career further."